Though it took me several times to get in (and meant going at 2 PM on a weekday), it was well worth it. 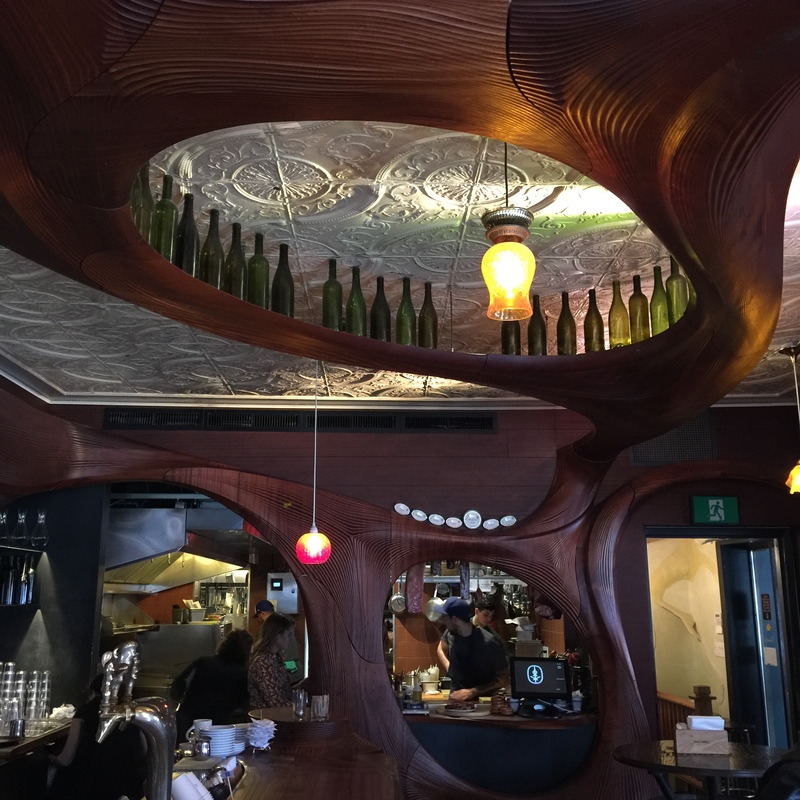 Not at all a typical bar, the place really does have the Spanish sherry-sipping feel they sought when they invested so much in the elaborate South African mahogany woodwork. Unlike so many bars in Toronto, they make balanced, beautiful drinks with novel and interesting ingredients. It’s really not a complicated formula but it’s pretty shocking how many places get it all wrong. 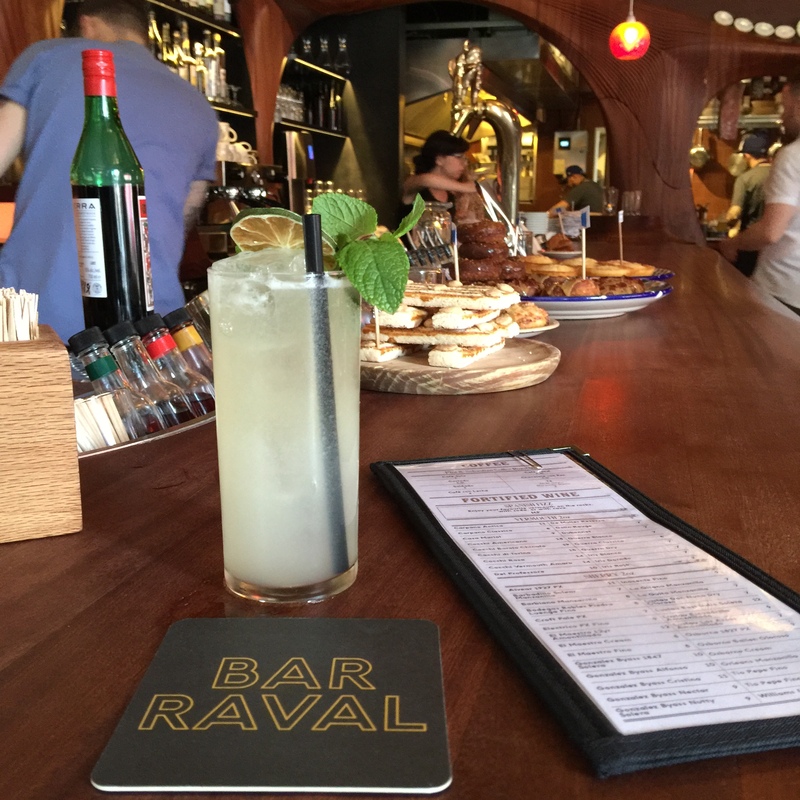 Bar Raval is actually probably the one spot in our cocktail-starved city that has gained true international recognition. I’ve had more than one bartender at venerable establishments on my travels mention it as the place in the city. But, I’ve been just outside the door when there were six thousand people standing in the fifteen by fifteen room, which is not my idea of how to enjoy either a beautiful drink or a glass of outstanding, non-list palo cortado sherry. It is a very popular place, and rightly so, but if you’re old and grumpy like me, it’s best frequented at a time when sunshine rather than bearded twentysomethings in flannel shirts, fills the place.